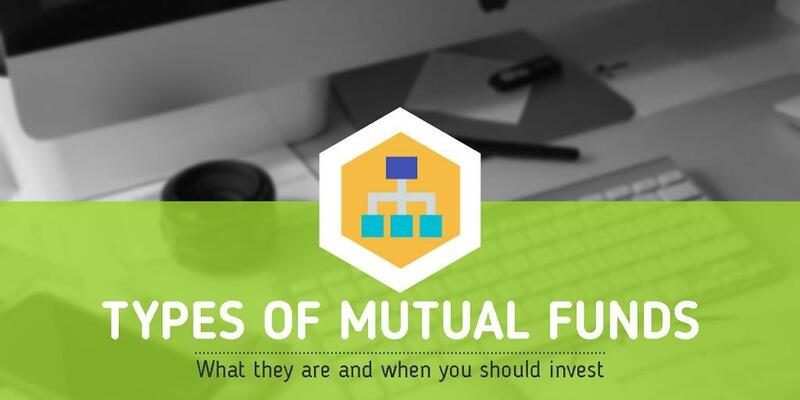 In this 4-part article series, we discuss the 20 main types of mutual funds available in India and whether you should be investing in them. The main classification of mutual funds is by asset class ( i.e. what assets they are investing in). In part 1 of the series we focused on the different types of equity mutual funds, in part 2 of the series we discussed the different types of debt funds and finally in part 3 of the series we discussed hybrid funds, which invest in a mixture of debt and equity. In part 4, the final part of this series we discuss the remaining funds which do not fall into these neat categories. What they invest in:Equity arbitrage funds invest in equities and equity futures to generate liquid fund like returns. Confused? Specifically equity arbitrage funds follow a strategy of buying the cash equities and selling equity futures. An equity future is a contract to buy the underlying share in the future at a price set today but paid in the future. According to futures pricing theory, futures are priced such that it does not make a difference whether you buy a stock today and pay its price now or purchase a future on that stock and pay the price later. This is only possible if the futures price today is higher by the amount of interest that you can earn on the stock price. Hence if you buy the equity and sell the future (at higher price) you will get an amount equal to the interest rate – very similar to a liquid fund. 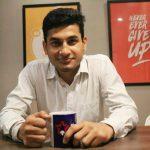 Should you be investing in them: If equity arbitrage funds are just like liquid funds, then why go through the bother? Simply because of the taxation regime. Because arbitrage funds invest only in equity instruments therefore they are taxed like equity-oriented funds even though they give debt like returns. The taxation for equity funds is more favourable than debt funds giving arbitrage funds an edge over liquid funds. However do note that the pre-tax returns of arbitrage funds are slightly lower so whether post-tax returns work out to be higher than liquid funds depends on your tax bracket. Liquid fund investors for whom the tax advantage exists should definitely consider arbitrage funds. What they invest in: FMPs are close-ended debt mutual funds. They are different from the open-ended debt mutual funds that we discussed in part 2 of this series in that with open-ended funds you can buy/sell units any time directly with the AMC and the assets under management of the mutual fund rise and fall as a result. However with close-ended funds, you can buy/sell with the AMC only during specified intervals of time. Apart from these periods the assets of the close-ended mutual fund are fixed and investors can buy/sell units among themselves in the secondary market. However usually the secondary market in closed ended mutual funds is not very liquid so investors in closed-ended funds should be prepared to hold them till the maturity date of the fund. FMPS invest in debt securities with maturities that match the term of the scheme. The debt securities are redeemed on maturity and paid to investors. FMPs are issued for various maturity periods ranging from 3 months to 5 years. Should you be investing in them: In general we do not recommend investing in close-ended funds. There is no history to evaluate the performance of these funds when you are putting your money in plus your money is locked-in for the term of the fund. And the usual reason for preferring close-ended funds over open-ended funds – that because the manager does not face the pressure of redemption he/she can follow long-term and hence more profitable strategies – does not hold if you look at performance data. It would not be wrong to say that one of the major reasons that closed-ended funds get sold is because of the high upfront commissions on offer to distributors since your money is locked in. With this said about close-ended funds, let’s evaluate the FMPs on their own merit. An FMP is structured very much like an FD. Because you are holding all the instruments till maturity (or the manager is holding them on your behalf), there is no interest rate risk, unlike open-ended debt funds. You will only earn the rate of interest which can be estimated to some extent in advance. The reason I say “to some extent” is because you will not earn this interest if there is a default which makes FMPs riskier than FDs. On the plus side, FMPs, if held for more than 3 years, offer a much better taxation regime than FDs (taxed at 20% after indexation vs. at income tax rate for FDs). The important thing then with FMPs is to closely go through their portfolio especially as no history is available. So FMPs are best suited for investors in higher tax brackets who are looking for FD-like returns provided they are comfortable with locking in their money for the said period. What they invest in: As the name suggests these funds invest in gold and gold-related instruments. The objective of gold funds is to closely replicate the price of physical gold. Should you be investing in them: Gold can play a valuable role in your investment portfolio giving good performance when equities and debt are under-performing. As we discuss in detail in another blog post, gold has a limited role to play in very short-term portfolios or if your objective is to generate regular income since gold does not do that. Also, a long-term investor who is comfortable with the volatility in equities may not see too much of a role for gold for diversifying downside. They may choose to only invest in equities for higher returns. The true value-add for gold comes in the medium term portfolios, say for a 3-8 year horizon and/or if you would like to avoid significant volatility in portfolio returns. In such portfolios, gold can provide returns when equities and bonds are not doing well, increasing your probability of ending up with good positive returns. What they invest in: As the name suggests, these are funds which invest in other mutual funds. Usually, these funds set a specific objective such as conservative/moderate/aggressive allocation or investment for a certain age group and so on. Should you be investing in them: The biggest problem with funds of funds, in India and elsewhere is the high expense ratio. When you buy a fund of funds, not only do you pay the expense ratio of the bought fund but also the expense ratio of all the underlying funds. As you can imagine paying two layers of expenses can be a big drag on returns. Hence investors may be better off using ordinary mutual funds together with the help of a financial advisor to create a customized portfolio for their requirements. Well I think that Mutual Funds follows the aged concept. So, it not only minimizes the risk but also ensures growth by enlarging the assets across sectors.